... It [River Eden] afterwards runs by ... two villages of the name Musgrave which give name to the warlike family of Musgrave, of whom t. Edward III. Thomas Musgrave had summons to parliament among the barons; Heartly castle in this neighbourhood was their residence. 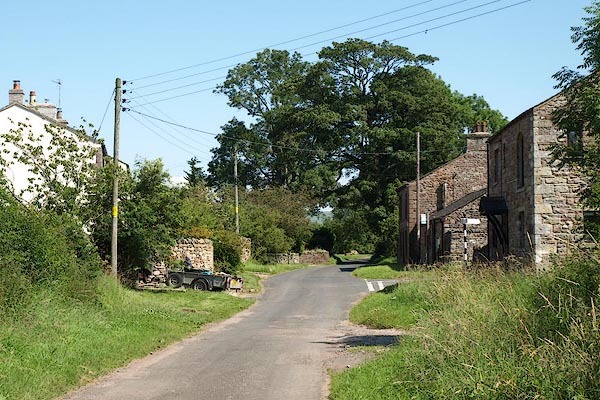 The villages of Great and Little Musgrave may seem rather to derive their name from the family, their name being taken from their office Musgrave or Mosgreve equivalent to Warden of the Marches, which office they held, and not improbably the same with Markgrave. They are as old here as Peter Musgrave in the reign of Stephen. Richard Musgrave his lineal descendant was created knight of the bath, and a baronet by James I. His son Philip distinguished himself on the king's side in the civil war, and defended the Isle of Man for the countess of Derby, and, at the Restoration, had a warrant for creating him baron Musgrave of Hartley castle, but never took out the patent. The present baronet Philip is the 5th in lineal descent from him. The family burial-place is at Eden-hall, repaired and beautified by sir Richard Musgrave the 1st baronet, who died and was buried at Naples 13 James I. The late sir Christopher Musgrave in a great measure demolished the noble pile, and employed the materials on his seat at Eden-hall. blocks, labelled in upright lowercase text; settlement; town?